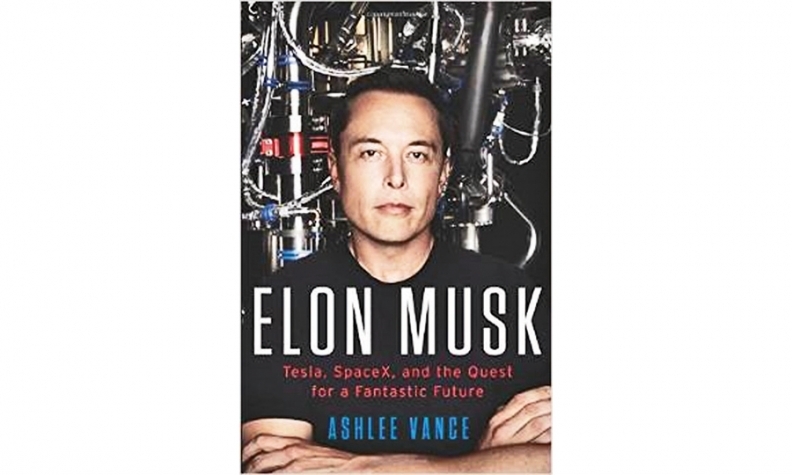 Elon Musk: Tesla, SpaceX, and the Quest for a Fantastic Future, a new book by Businessweek reporter Ashlee Vance, is getting plenty of buzz -- mainly due to its morsels about the Tesla CEO's personal style. The daughter of an adviser to Musk recalled meeting the entrepreneur: "I believe the second sentence out of his mouth was, 'I think a lot about electric cars.' And then he turned to me and said, 'Do you think about electric cars?'" After Ford blocked Tesla from using the name Model E in 2010, Musk told Ford CEO Alan Mulally: "Why did you go steal Tesla's E? Like you're some sort of fascist army marching across the alphabet, some sort of 'Sesame Street' robber?" When informed during Tesla's early days that some employees were complaining about working too hard, Musk said: "I would tell those people they will get to see their families a lot when we go bankrupt." But here's what got the most attention. According to the book, Musk criticized a Tesla employee for skipping a meeting to witness the birth of his child. He allegedly emailed the anonymous employee: "That is no excuse. I am extremely disappointed. You need to figure out where your priorities are. We're changing the world and changing history, and you either commit or you don't." Musk denied the tale last week. "It is total BS & hurtful to claim that I told a guy to miss his child's birth just to attend a company meeting," he tweeted. "I would never do that."